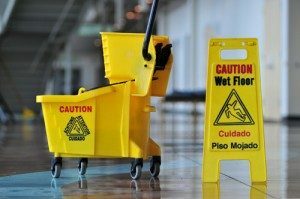 Gibbons Maintenance takes safety seriously and has a spotless record; there hasn’t been a major incident in more than 30 years of service. In addition, all our employees go through a thorough security check and each of our employees wears a Gibbons Maintenance uniform for easy identification on the floor. However, we do believe in being prepared, so our company and employees are bonded, fully covered by a public liability insurance of $5,000,000 and covered by the CSST (Commission de la santé et de la sécurité du travail) – #79476134. Our CSST rates reflect our safety record, making Gibbons even more competitive.